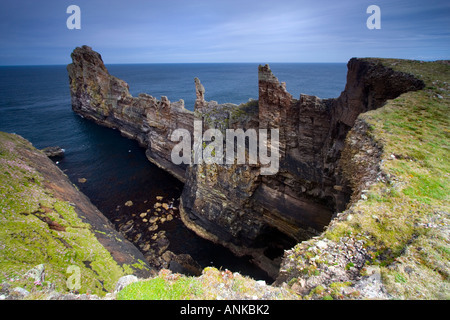 Die Amboss-Tory Island, Co. Donegal Irland. 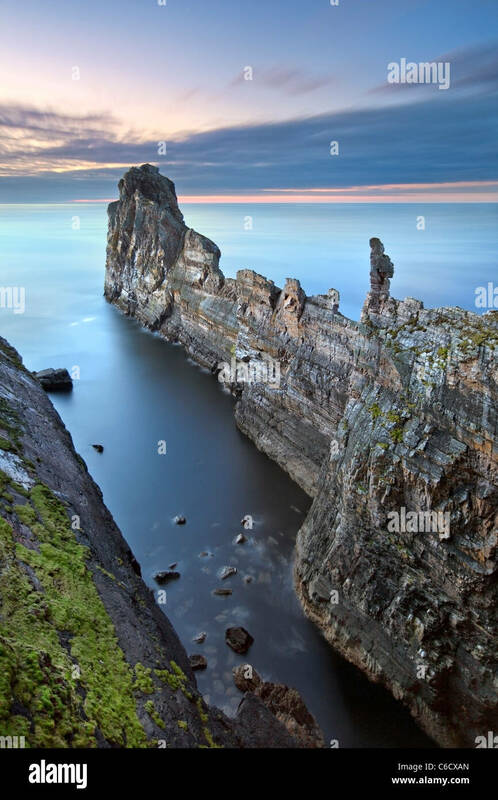 The huge rock fin of "The Anvil" juts into the sea from Tory Island. 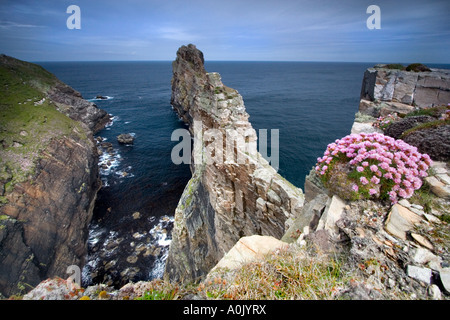 Tory Island, nine miles north of the coast of Donegal, is by common consent "the most isolated, the most desolate, the most windswept of any of the Irish islands". It is an island drenched by the sea, drenched by the elements, and drenched with history and folklore.